What is a Western Herbalist? A person who uses plants as medicine is known as an herbalist. A western herbalist, then, is a person who combines this traditional herbal knowledge by using mainly those plants found in Europe or Native America. 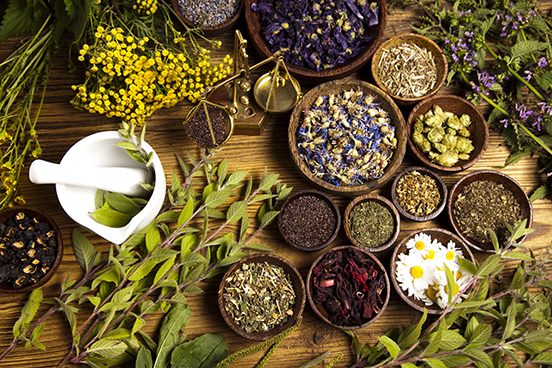 Western Herbal medicine also has some roots in the ancient British and Roman practices, and is said to stem from Greece, where practitioners there were influenced by the Egyptians and Middle Eastern peoples. Parts of the plant that are utilised can vary, from the roots to the leaves, fruit, the petals, stems or bark. All have different healing properties and all can be used in a variety of ways, from brewing it in a tea to crushing it and using it as a poultice or paste. Some practitioners soak the plant for many years in order to extract the potent properties. As with many traditional forms of medicine, the Western Herbalist seeks to heal the entire person, treating the cause – not just the symptoms. Western Herbalist will take a detailed history of symptoms and any conditions or illnesses you have, and tailor an individual treatment plan. Be sure to inform your practitioner of any medications you current take. It says a lot that many of today’s Western medicines, dispensed in hospitals and by doctors all over the world, have their start in fauna. Whether the medicine derives from the actual plant, or plants have inspired the medicine, the fact that we’re warned not to mix modalities without proper consultation speaks volumes. A prime example of this is the plant Atropa Belladonna. It may be related to the humble tomato, however Belladonna has long been used for several purposes, among them as an anaesthetic, a poison, to widen the pupils (to make women appear more seductive) and, more recently, as a powerful cardiac medication and anticholinergic. Although all parts of the plant are toxic, about three to five berries is enough to kill a person. Who says herbs can’t do much for people’s health?